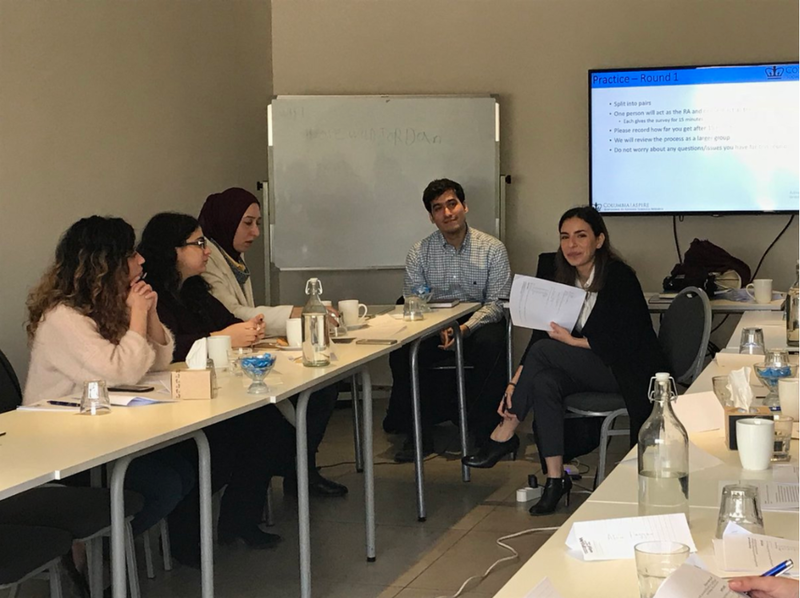 Our wonderful Research Coordinator for Women ASPIRE in Jordan, Luma Samawi, is wrapping up her time with ASPIRE to begin a masters program in Global Mental Health at King's College in London (with full scholarship!). Based at the Columbia Global Center in Amman, Luma served as the focal point for Women ASPIRE for one year. We are infinitely grateful to Luma for her hardwork, dedication, and boundless passion for improving the lives of refugees. 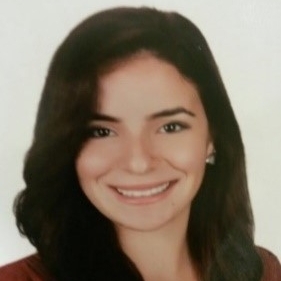 We have no doubt that Luma will shine through her graduate education, and wish her the best of luck. We asked Luma to reflect on her time as the Women ASPIRE Research Coordinator before heading to London. 1. Why did you want to work on this project? II had previously worked on several mental health-related research projects during and after my undergraduate studies in the U.S. at Johns Hopkins University, and had returned to Jordan to gain some experience in direct service-delivery and exposure to the Jordanian health system. I spent almost a year as a Psychosocial Counselor at the Minnesota Center for Victims of Torture to provide trauma-rehabilitation counseling to victims of torture and war trauma (mostly urban Syrian and Iraqi refugees). I learned so much from this experience – specifically I gained insight into the mental health needs of urban refugee populations. This led me to pursue further opportunities to learn about evidence-based research within these settings. When I saw the advertisement for the Women ASPIRE Coordinator position, I felt as if someone had crystallized my dream career path in a single position. It combined my need for the rigorous evidence-base of academic research, my passion for mental health, and my interest in public health programming in low-resource settings like Jordan. To think that I came across this position by stumbling upon a Facebook post by the Global Center in Amman feels like pure luck to me! 2. What have you most enjoyed about working on the project? The most exciting part of this project for me was getting exposed to the health system in Jordan from a wider perspective. Part of my role as coordinator was to identify potential partners and build relationships that were strong, sustainable, and future-focused. The partnership-building process allowed me to understand the relationship between NGOs, CBOs, UNHCR, the Ministry of Health, and other stakeholders in the health sector, which in turn helped me recognize the strengths of the existing system along with potential areas of improvement. 3. What has been the most challenging? The most challenging part of working on this project was the dynamic and ever-changing situation of Syrian refugees in Jordan, and specifically their situation within the health system. Implementing a systematic research protocol in clinics of different organizations in different governorates in Jordan was challenging to begin with. But working within a context that is tied to evolving politics and changing policies required a whole other level of flexibility and adaptability from the research team whose goal is to maintain scientific rigor and consistency. 4. What did you learn from this project? I learned that all of the challenges of working within this context are surmountable when the aims of the research are centered around improving the quality of life of vulnerable women, empowering them, and facilitating their access to services with dignity and respect. The needs of our participants always remained front-and-center throughout the process of developing and implementing the study, and they were surely a driving force for the research team and our partners alike. 5. What will you miss? I will miss so many things about working on Women ASPIRE! I will miss the team of Research Assistants, who were my support just as much as I was theirs. 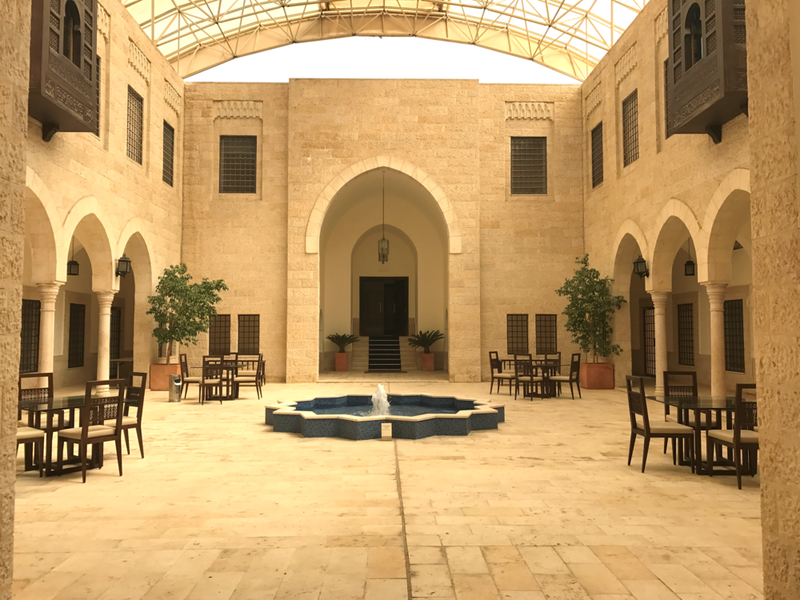 I will miss the beauty and the serenity of the Global Center in Amman – having an office in such a breathtaking building doesn’t happen so often. I will mostly miss our cross-continental team: the weekly Sunday afternoon calls with New York, meetings over coffee at the hospital with Dr. Maysa, the endless hours of Skype calls with Anindita, and the delicious Arabic food dinners when the New York team is in Amman for a visit. I feel lucky to have worked alongside such strong, passionate, and successful women (and men, Adam and Thad!) who have pushed me forward and helped me grow immensely as a researcher and study coordinator. During an RA training in Amman. 6. Tell us about your future studies? What are you looking forward to the most about your masters? I will be doing my Masters in Global Mental Health in a joint program at King’s College London and the London School of Hygiene and Tropical Medicine. I had been searching for a program that combines public health and mental health, and I was beyond thrilled to find this master’s course that also focuses on developing, implementing, and evaluating programs in low-and-middle-income countries. I am looking forward to being a student again, after several years outside the classroom. The fall will again be the season for new notebooks and pens! 7. What do you see for your professional future plans? I am still figuring out this part, but I do plan to work on strengthening and developing the mental health system in Jordan and the MENA region, one way or another.